I published this photo as a blog post a week or so ago, but I didn’t tag it to Photo101. I am intrigued with the photo, and would like to have comments on how the exposure could have been better. 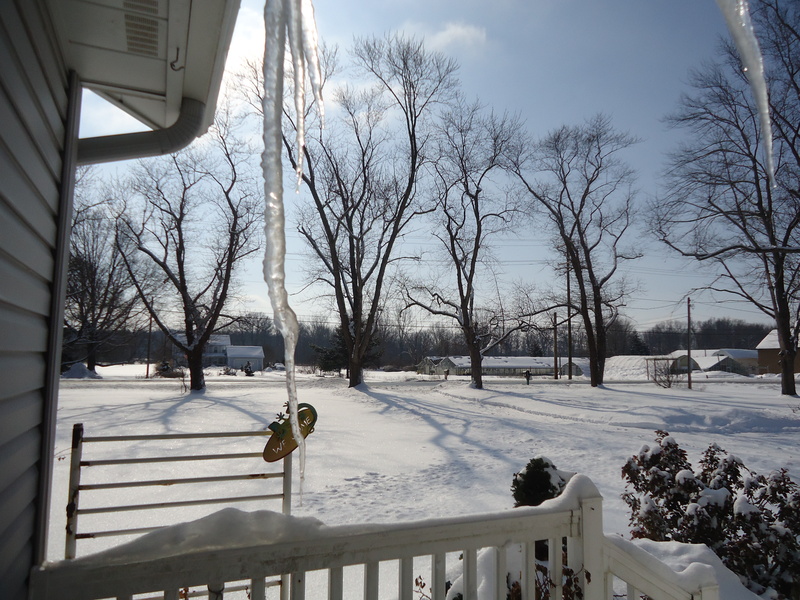 The icicle was just hanging there from the eaves, and I just had to try to capture it. I like the reflection of the moon on the icicle itself, and the silhouettes of the trees, as well as the little row of lights to the lower right of the photo, which is moonlight reflecting off of the greenhouse windows. The lower photo is a daytime shot of approximately the same scene. Night time exposures can be tricky. In this one, the photo is very noisy, so it looks like a high ISO was used in order to sensitise the digital sensor enough to capture enough light for the photo. One way around this is to use a long exposure so you can keep the noise low and the shutter remains open longer. The downside here is that you’d need a tripod or stable surface for the camera so it didn’t move. One other option is to simply use black and white. Black and white emphasises light and shade, so darker scenes like this take on a new character. Thanks for the comment. 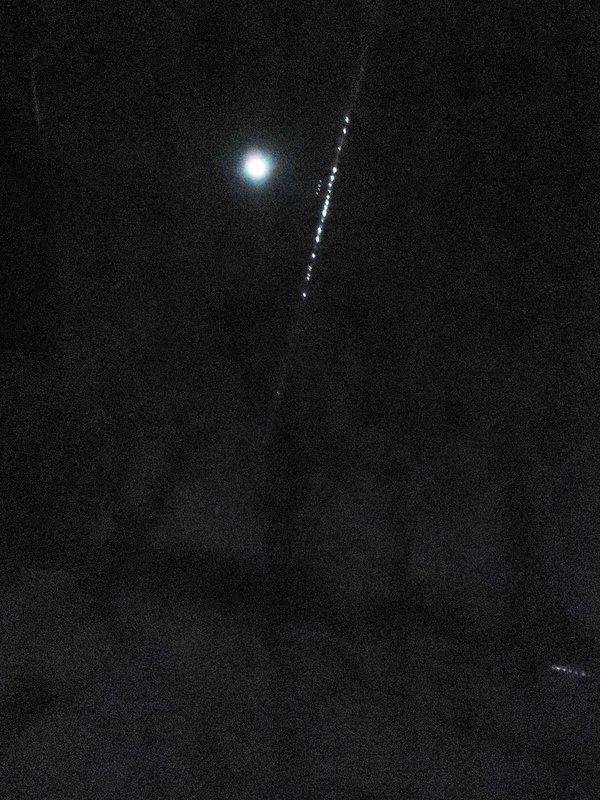 I saw the reflection of the moon on the icicle, and wanted to capture it if I could. There was very limited space, and it was about 7 degrees outside. I just used my little Sony and only checked that I had the night setting. Actually I did work with the exposure enhancement settings of Photo Gallery to try to in grease the contrast. I have a better exposure, but the angle did not capture the icicle itself,and the moon is slightly behind the corner of the house. I was in a hurry to get the shot before clouds drifted over the moon. Also it was cold standing outside. I no longer can use a SLR camera as I did for many years. It is difficult for me to hold the camera steady,and I have some vision limitations. I do have an anti-shake feature on my Sony. Previous Previous post: Where has the “Loyal Opposition” gone?